While we all go through the trouble of sorting our socks, silverware and other household items, weblog Productivity 501 notes that sometimes, finding things is just as easy without constant organisation. 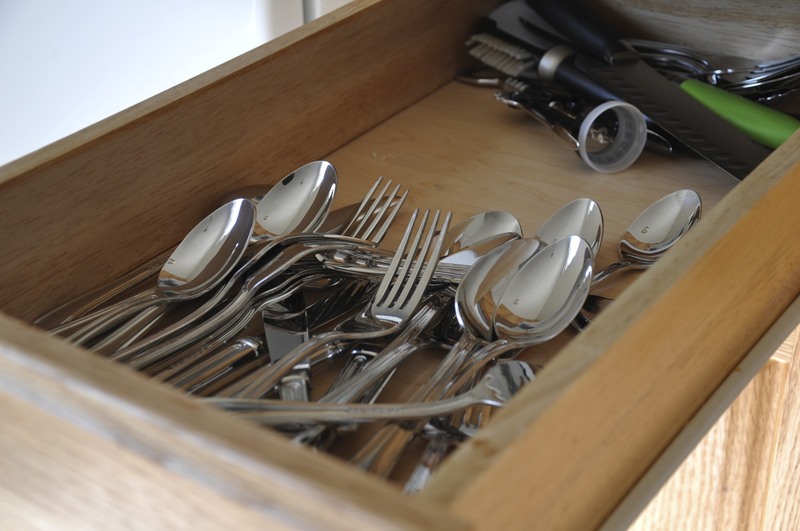 What if instead of having an organized silverware drawer, we decided to simply dump all of the silverware in the drawer–no tray? Sure it would look like a mess, but would it really be less efficient? We'd save a lot of time putting the silverware in the drawer, but would we lose that much when it came time to getting the silverware back out? If you have a drawer full of spoons, knives and forks, how much time would you actually waste if they were all there in just a random order? Of course, this all depends on your situation. Productivity 501 notes that if you have to set the table for seven people each night, it's probably worth the organisation. Hit the link to read more, and let us know what items would benefit from messy organisation in your household. I agree with this. It works on the basic assumption that, if certain items in your life don't bother you enough to take ten minutes to change them, they're not worth the effort of changing. If you take it back a level, you just remove complexities from your life and see if their absence annoys you. It's a great concept, but I'm not sold on the example given. It should be a matter of what takes time to KEEP organised vs the time taken to look through a disorganised pile to find what you want. In my case, knives/forks/spoons are organised (takes marginally more time to separate when unloading the dishwasher), but cooking utensils are all mixed in together. In my home office, bank statements are all filed away together, not organised one little bit. I never have to get them out, so there is no point. Receipts are sorted properly as I do actually use them again and need them organised. It also depends on the order in which items are prepared for sorting or storing. With the given example of unloading a dishwasher if you stack the cutlery by type before you wash, when the washing is done you can quickly grab all of the forks, spoons and knives and then place them in the correct spot in the drawer which makes retrieving them that much faster (open drawer - grab from the left for a fork, the right for a knife and the middle for a spoon). I have a family member who not only sorts cutlery very well, but also stacks them by size within the drawer... yes. Stacks them. Horrifying.